At Top Travels Tours Pvt. Ltd., we take care of all your travel needs. When you come to us, leave all your worries behind. From the best vehicles for your travel to the best hotels and the best tour itineraries, our service is unsurpassable. Our proficiency allows us to offer services for Car Rental. We have small cars to luxury sedans and SUVs for family travel within the city or nearby and for nearby cities. With our reliable services, we fulfill all the local transportation needs of clients. Clients can avail under budget services for car rental; with or without drivers, at the most reasonable prices. Our clients can avail from us Car Rental Services. These are offered to travelers, who prefer to travel by car to different destinations. 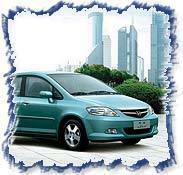 We offer clients as per their requirements A/C and non A/C cars from the different cars that we have with us. These cars are driven by experienced drivers who are well aware of roots and they abide by strict safety standards and traffic rules. Our clients can get a comprehensive array of Car Hiring Services from us at industry leading prices. 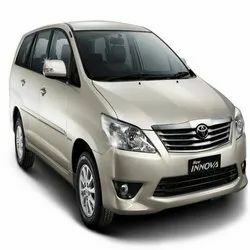 Through this Car Service, we make the journey of the travelers most comfortable and memorable one. Backed a team of skilled and experienced drivers, we have been able to provide safe and secure journey to our valued customers across the country. If you want to go out of Delhi and not in the mood to drive, Meradriver is there for you. Doaba Luxury Travels offers VW Crafter civilised design their custom built band tour buses and production vehicles to be the safest and most luxurious available anywhere in the world regardless of your budget and exceed European standards, the strictest in the world.